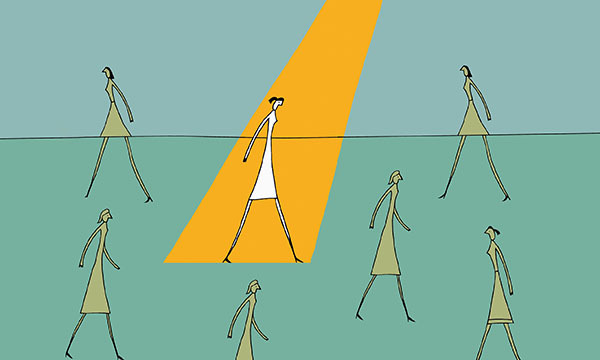 Leading NHS trusts are recruiting ward sisters using an interview technique that focuses on the innate strengths needed to succeed in the role rather than competencies. The approach recognises that even a great nurse will struggle in the wrong job. Senior nurses say it is clear when a ward is well run by a good sister or charge nurse. But it is also obvious that some ward sisters underperform in units where standards are not what they should be. Recruitment to this role, which is so vital for patient safety and experience, is not always a success. To address this issue, a number of leading NHS trusts have begun using a new way of interviewing potential ward sisters, based on their strengths rather than their competencies. The method, developed by Sally Bibb, founding director of strengths-based recruitment consultancy Engaging Minds, is designed to find the candidate best suited to a particular role. It is based on profiles of the attributes that make someone shine in a particular job; Ms Bibb has profiled a wide range of different roles, including barista, call centre employee and prison officer. She says companies and trusts that have used the approach have seen improved performance, better employee engagement, less need for training to overcome weaknesses and a positive shift in culture. In 2012 Ms Bibb was commissioned by senior nurses at the Shelford Group, which represents 10 leading NHS academic healthcare organisations, to look at ward sister recruitment. The group, which includes Imperial College Healthcare NHS Trust in London and Sheffield Teaching Hospitals NHS foundation Trust (see box), employs over 100,000 people. The senior nurses told Ms Bibb that good ward sisters lead to better clinical outcomes but pinning down who would make a good ward sister was difficult. The profiling process involved a day of direct observation and a structured interview with the ward sisters, followed by conversations with people who knew them well. This produced a list of strengths that all good ward sisters appeared to share, including that it is important to them to make a difference, they love to be in charge and they get a buzz out of developing others. ‘On the surface, some of the ward sisters looked very different. Some of them were extroverts and some quite introverted, but they all shared these strengths,’ Ms Bibb says. ‘We nearly always find that there is something counterintuitive to what is expected. With the ward sisters, all of the directors of nursing said they would be naturally assertive. We discovered none of them were, but we saw plenty of assertive behaviour. Trust staff involved in recruitment were then trained in how to carry out a strengths-based interview, using the list of strengths revealed in the profiling exercise. There is also a technical competency assessment to check if someone has the necessary skills and experience for the role. The system acknowledges that people can be great nurses but may not be suited to the ward sister role. Imperial College Healthcare NHS Trust in London decided to re-interview all its ward sisters during a restructure using the new technique. A number did not fit the profile and were more suited to jobs such as consultant nurse, generally because they didn’t love being in charge, Ms Bibb says. Janice Sigsworth, director of nursing at Imperial, likes the way the approach looks at a nurse’s ‘innate strengths’. The ward nurse and healthcare assistant (HCA) roles have since been profiled, and there are plans to extend the process to hospital receptionists, who are generally a patient’s first point of contact with a service. Excellent nurses and HCAs were shown to have the same list of strengths, including being caring and reliable and believing it is important to do the right thing. One drawback of the strengths-based approach is that it can take longer to conduct interviews. Given the number of staff nurses and HCAs at a large trust, this can be problematic, Professor Sigsworth says. All the profiles are available free of charge for NHS trusts that have received training in strengths-based interview techniques. Dame Jill Macleod Clark, professor of nursing at the University of Southampton, says the evidence so far suggests that the approach can improve the chances of finding the right fit for a particular role. She also sees its potential for reducing dropout rates among nursing students. ‘It would be interesting to see whether this approach could be applied successfully to the initial recruitment of students onto programmes and courses,’ Dame Jill says. Strengths-based recruitment has been used for all ward sisters and charge nurses at Sheffield Teaching Hospitals NHS Foundation Trust for several years. She says the change is well embedded into the sister recruitment process. ‘It does take longer and it is a skill, so the people who carry out the interview need to be trained in the process,’ Professor Chapman says. It is being incorporated into support worker roles but adapted due to the volume of people recruited. ‘We have spoken to Ms Bibb about the profile and the approach and built it into the assessment still using the same principles of strength-based recruitment,’ she says.